A basic search of Oliver using the search terms “Comedy” &/or “Satire provides a comprehensive list of resources relating to the genre. 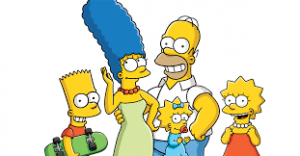 Simpson’s satire for the classroom: Provides a brief explanation of what defines satire. (The initial commentary is a bit dull, however, the examples provided are interesting and informative). 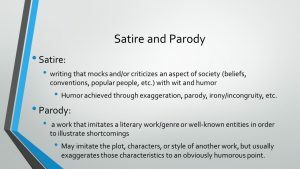 Learn how to write a satire: Topics include the difference between irony and sarcasm, ways to know when an author is being ironic, as well as what is and isn’t appropriate subject matter for satire. How accurately does Blackadder reflect history? : Useful BBC article providing a brief overview of the history behind the development of the Blackadder series. The true history of the Blackadder: An extract from the book of the same name by J F Roberts focusing mainly on the WWI Blackadder series. A search of Youtube using the search term “Blackadder” yields a multitude of Blackadder video clips. GradeSaver: Animal Farm. Analysis, summary and overview of Animal Farm. Also provides useful in-text links to individual character summaries. 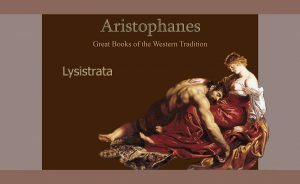 Classical Literature : A useful website providing a brief biography of Aristophanes and his literary works. Links at the bottom of the page provide access to further information about Aristophane’s various plays. Classical drama and society; Ancient Greek Comedy – Chapter 8: Early Greek Comedy and Satyr Plays: a comprehensive and useful website providing information relating to Greek comedy and Satyr plays.